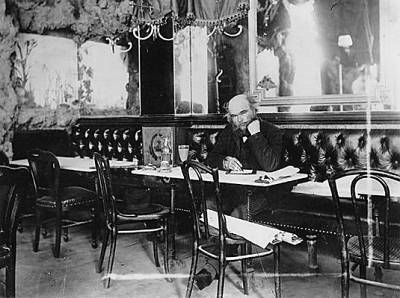 Verlaine in the oldest café, Le Procope, Paris 6 ? The oldest café and restaurant in Paris, founded in 1686, Le Procope was once frequented by such emblematic figures as Voltaire, Alfred de Musset, George Sand, Benjamin Franklin and of course, Verlaine. With its chandelier-clad high ceilings and walls lined with antique paintings, to visit this café is to step back in time. Address: 13 Rue de l’Ancienne Comédie, 6th arrondissement.